Adiyen. 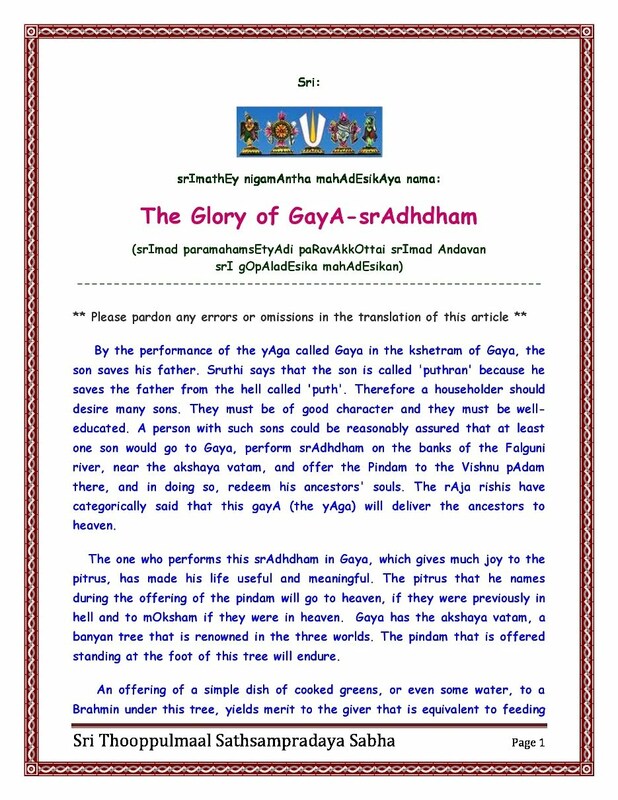 With the divine grace of AchAryan, PoorvAchAryAL, AchArya pAdukAs, Swami Desikan and Sri Lakshmi HayagrIvan Sri Thooppulmaal Sathsampradaya Sabha (STSS) is happy to share கயா ச்ராத்த மஹிமை (Glory of gayA srArdham ) blessed by srImad paRavAkkOttai AndavaN - Sri Gopaladesika Mahadesikan. 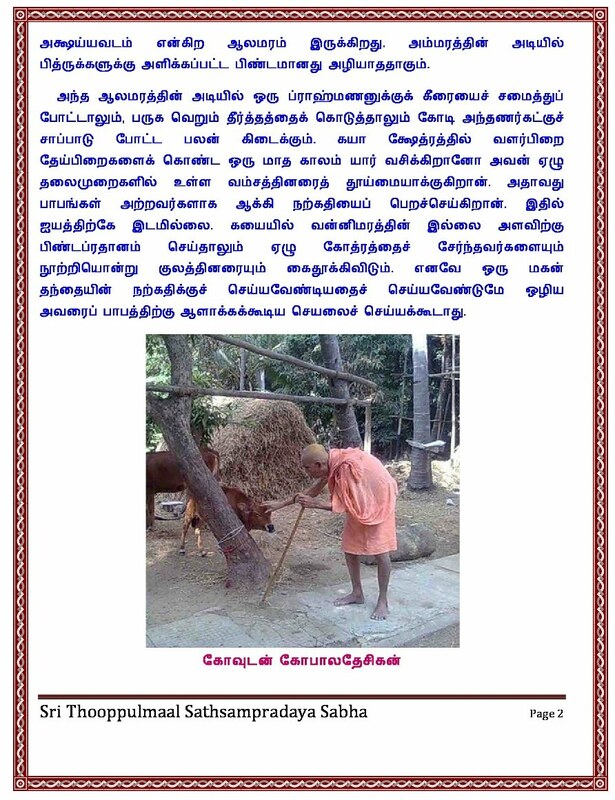 Adiyen’s sAshtAnga praNAmangaL to Acharyan for this parOpakAram. 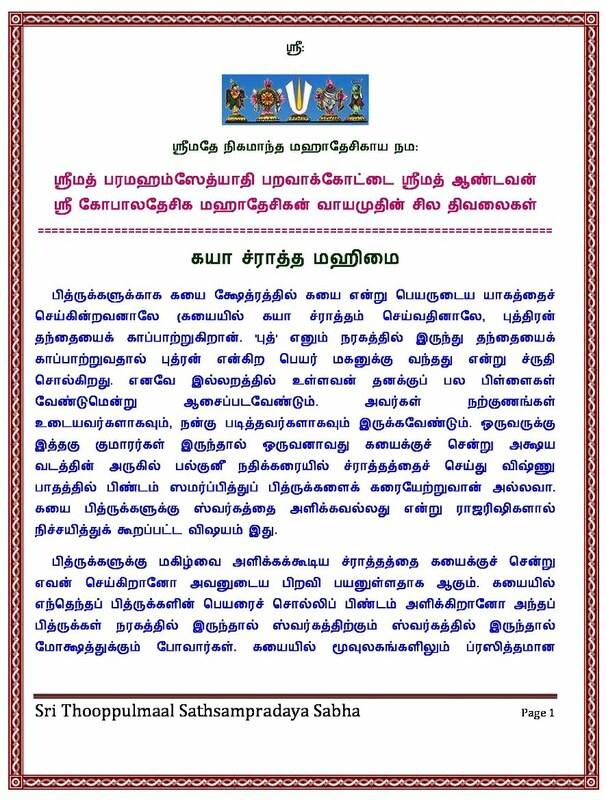 Thiruvallur Sri. 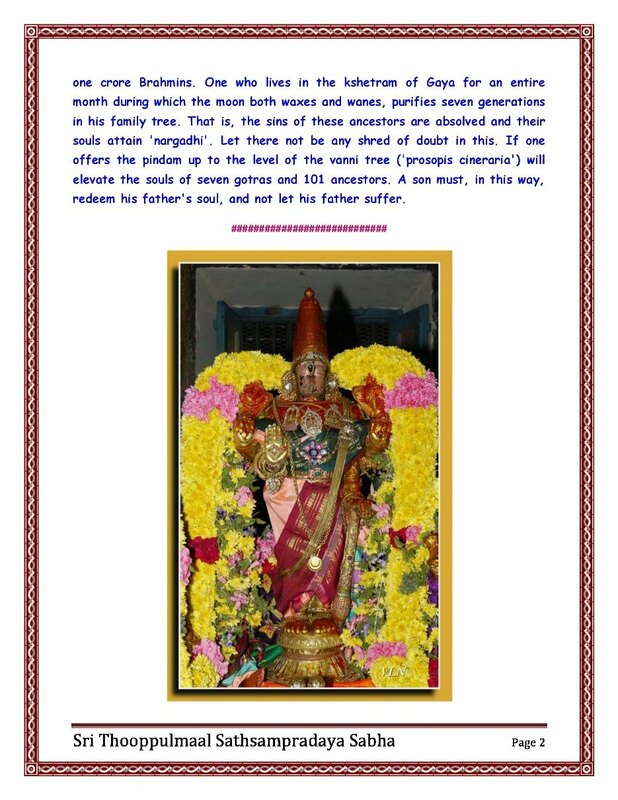 Raghava Nrusimhan Swamin has put together this article in a nice document with dedication and devotion. Adiyen’s heartfelt thanks to Swamin for this help.